The Moover Ride-on Dump Truck is a ride on and walker that encourages exploration and promotes motor skills development. The Moover Dump Truck gives your baby the ability to drive and steer the truck simultaneously. 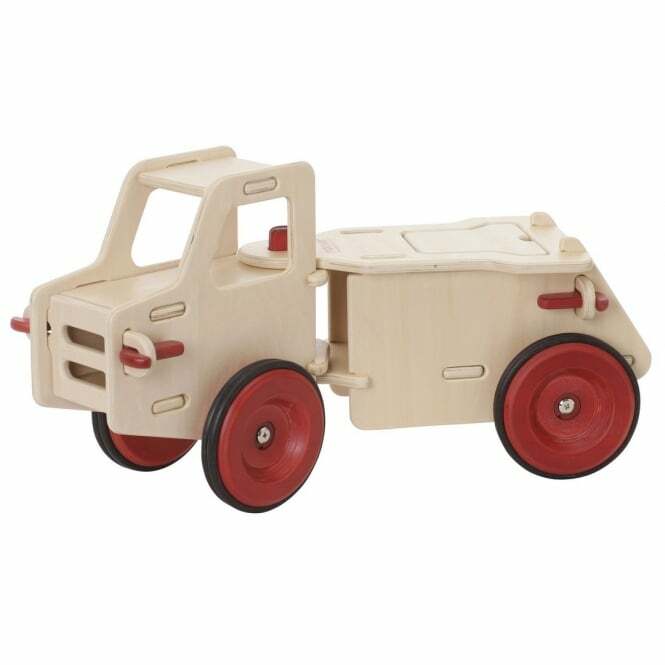 With the Moover Dump Truck, exploration is encouraged and motor skills are practised. Your baby can also use it to carry various toys and other items. The Moover Dump Truck can be taken apart and rebuilt by older children adding longevity to the toy. The Moover Dump Truck can bear your baby's weight so it can also be used as a ride on toy when they want to play. Double tyres give Moover Dump Truck an extra strong and non-skid grip multiple driving surfaces. Shock absorbing rubber wheels also protect your baby from speed while also protecting furniture from bumps. The Moover Ride-on Dump Truck makes for great gift ideas.